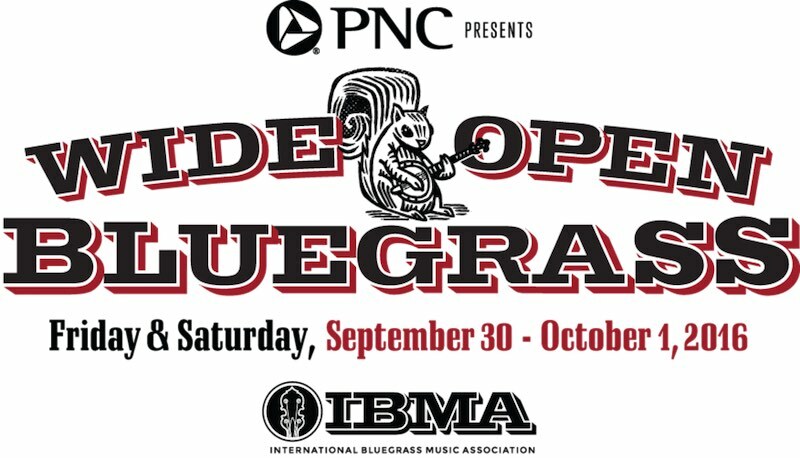 The International Bluegrass Music Association (IBMA) released an initial list of performers for PNC presents Wide Open Bluegrass, which takes place Sept. 30th to Oct. 1st in Raleigh, North Carolina. This year’s lineup showcases an array of bluegrass styles, from traditional to progressive, and from emerging artists to IBMA Hall of Famers. The festival is part of IBMA’s World of Bluegrass events, which begin at the Raleigh Convention Centre Tuesday, September 27. A second round of performers and special collaborations for Wide Open Bluegrass will be announced in the coming months. Dailey & Vincent. Multiple IBMA Award winners and Grammy nominees Dailey & Vincent perform their entertaining mix of bluegrass, country and gospel music. Jerry Douglas Presents The Earls of Leicester. Dobro master Jerry Douglas and his bluegrass supergroup The Earls of Leicester return as the 2015 IBMA Entertainers of the Year, ready to share material from their upcoming release on Rounder Records, Rattle and Roll. Laurie Lewis & the Right Hands. A two-time IBMA Female Vocalist of the Year, Lewis is one of the leading singers and songwriters in bluegrass music today. Special guest to be announced later. Marty Stuart & His Fabulous Superlatives. Five-time Grammy-winning multi-instrumentalist, singer and songwriter Marty Stuart explores the crossroads of bluegrass and traditional country. Nitty Gritty Dirt Band. As part of their 50th anniversary tour, the iconic and profoundly influential Nitty Gritty Dirt Band, often cited as a catalyst for an entire movement in country, rock and American roots music, will draw from their legendary catalog of hit songs. Their groundbreaking 1972 Will The Circle Be Unbroken album has been inducted into the U.S. Library of Congress and the Grammy Hall of Fame. Special guests to be announced later. The Peter Rowan Bluegrass Band. Rowan’s storied career in bluegrass music spans more than five decades, from his early years with Bill Monroe’s Blue Grass Boys to his time in Old & in the Way with Jerry Garcia to fronting his own bluegrass band. Pat Enright, Mike Compton, and Stuart Duncan of the Nashville Bluegrass Band. Becky Buller Band. Current IBMA Songwriter of the Year and Emerging Artist of the Year, Becky Buller is quickly rising among the ranks of bluegrass music’s premier singers and songwriters. Greensky Bluegrass. Highlighting the genre’s progressive side, Greensky Bluegrass explores the creative space between tradition and innovation, formula and improvisation and bluegrass and rock sensibilities. John Cowan with Darin & Brooke Aldridge. Newgrass music pioneer and Doobie Brother John Cowan teams up with North Carolina’s own bluegrass duo Darin & Brooke Aldridge for a special set, with other guests to be announced. Larry Sparks & The Lonesome Ramblers. Larry Sparks is IBMA’s newest inductee into its Bluegrass Hall of Fame, with 50+ years in the industry. Russell Moore & IIIrd Tyme Out. Celebrating 25 years with a chart topping album, It’s About Tyme, Moore is the IBMA’s most awarded Male Vocalist of the Year (5-time career). Steep Canyon Rangers. Grammy-winning Steep Canyon Rangers are enjoying the success of their ninth studio album, RADIO, a project that further illustrates the band’s dynamic songwriting, instrumental virtuosity and high-energy performance. Recorded at Asheville, NC’s Echo Mountain Recording Studio, RADIO was produced by Jerry Douglas. The Del McCoury Band. A true American icon and most awarded band in the history of bluegrass. Kruger Brothers. Fan favourites and acoustic music innovators, The Kruger Brothers are cooking up a very special program for the festival, with details to be announced later. Wide Open Bluegrass is a remarkable event and an economic boon for our region. Great performers and events are the hallmark of the festival, and this year is no exception. We know all will enjoy the shows in downtown Raleigh. This is PNC Bank’s fourth year as the festival’s presenting sponsor – Jim Hansen, PNC regional president of Eastern Carolinas. The Wide Open Bluegrass two-day festival is a combination of stage performances not seen anywhere else in the world. We are excited to offer another spectacular Red Hat artist lineup this year, with more special artists and collaborations to be announced. It will be another fabulous weekend of music that also helps an important cause in our industry – Paul Schiminger, Executive Director of the IBMA. We’re proud to bring a diverse array of musicians to Raleigh, including collaborations you won’t see anywhere else. The festival is a culminating celebration that brings people together to enjoy and appreciate our shared cultural heritage. North Carolina is known for having a vibrant music scene, and this event continues to contribute to making North Carolina a hub for bluegrass and roots music – William Lewis, Executive Director of PineCone the festival director. IBMA’s World of Bluegrass event, a five-day annual bluegrass music homecoming and convention, consists of four parts: the IBMA Business Conference, September 27 – 29; the 27th Annual International Bluegrass Music Awards, scheduled for Thursday, September 29; PNC Presents Wide Open Bluegrass, September 30 – October 1 (which includes both free stages and ticketed festival performances) and the Bluegrass Ramble, an innovative series of showcases, taking place September 27 – 29 in downtown Raleigh and the Raleigh Convention Centre. Single day general admission for performances at Red Hat Amphitheater during Wide Open Bluegrass starts as low as $60 for the public and $50 for IBMA members. Additional details and pricing information – including member discounts – for Red Hat Amphitheater performances, Bluegrass Ramble Showcase passes, IBMA Business Conference registration, IBMA Award Show tickets and hotel reservations are available at IBMA’s website, ibma.org. Tickets for all events are on sale now and may be purchased at www.ibma.org or 1-800-514-3849. IBMA is the professional trade organisation for the global bluegrass music community. The organisation’s six-year stay in Raleigh is the result of a partnership with The Greater Raleigh Convention and Visitors Bureau, the Raleigh Convention Centre, PineCone (The Piedmont Council of Traditional Music), the City of Raleigh, and a local organising committee. For more information: www.ibma.org. PNC Bank, National Association, is a member of The PNC Financial Services Group, Inc. (NYSE: PNC). PNC is one of the largest diversified financial services institutions in the United States, organised around its customers and communities for strong relationships and local delivery of retail and business banking; residential mortgage banking; specialised services for corporations and government entities including corporate banking, real estate finance and asset-based lending; wealth management and asset management. For information about PNC, visit www.pnc.com.